Wellness Wednesday- Vegetable Gardening by Season; Spring! Home > Blog > Wellness Wednesday- Vegetable Gardening by Season; Spring! A vegetable hand-picked from your own garden tastes better than anything you can buy in a store. And here in Florida, home gardeners can grow vegetables all year long. Home gardens are convenient and may encourage you and your family to eat more fresh vegetables. The choices are endless, with vegetables of all sizes, colors, and shapes. Start with a plan: decide what vegetables you want to plant, and where in your garden they'll be located. Make sure your site gets plenty of sun (at least six hours) and is near a source of water. Get your soil tested to find out what nutrients it needs. Your county Extension office can help with this process. Purchase or start your own transplants or plant seeds directly in the soil. Water and fertilize as needed, and keep an eye out for pests. The most important thing when beginning is to pay close attention to planting dates. Where you live within the state will affect that—planting dates for North, Central, and South Florida are very different. For more month-by-month gardening tips, check out the Florida Gardening Calendar. Three different editions of the calendar provide specific tips for each of Florida's gardening regions—North, Central, and South. There's nothing like having homegrown vegetables right at your back door, and spring is the perfect time to prepare your beds for vegetables. If this will be your first vegetable garden, you may find Getting Started with Your Vegetable Garden very helpful. 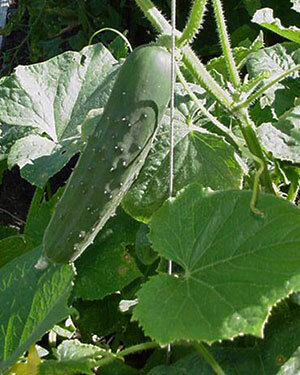 Spring crops include sweet corn, cucumber, tomato, watermelon, and several kinds of beans. For best results, choose varieties recommended for Florida. You can plant seeds directly in the soil, use transplants, or start your own transplants six to eight weeks before planting time. For spring gardens in North and Central Florida, the planting time for most frost tender plants is in March. If you plant earlier, be prepared to cover your tender vegetables to protect them from late frosts. Frost hardy vegetables may be planted much earlier. Of course, in South Florida, you can plant "spring" vegetables in the fall and winter, up until February or March. Plant early enough so that your vegetables have time to mature before the heat of summer kicks in. See Table 3 in the Florida Vegetable Gardening Guide for planting dates for specific crops.